The girls absolutely love The Nutcracker Ballet. They love listening to the music over and over again. So we were very excited to get the opportunity to review The Nutcracker - Stories in Music from Maestro Classics. The Nutcracker ($16.98 CD, $9.98 MP3 Download) is the story of Clara who receives a Nutcracker as a gift. In her dreams he comes to life and becomes a handsome prince. She and her prince go on many adventures together as they battle the Mouse King and visit the Land of the Sugar Plum Fairy. The Nutcracker - Stories in Music has the playtime of just under 60 minutes. It includes excerpts from every section of this great ballet by Tchaikovsky. The sound quality of the music is excellent. It really bring the story to life as Jim Weiss tells you the story of the Nutcracker. This is such a wonderful way to listen to a story. You can relax to the music and enjoy a story too. We have found the Maestro Classics - Stories in Music are a great addition to our art/painting time. The Nutcracker kept the girls attention as they waited for each segment to continue anxiously. I was a bit worried that they were not visually seeing The Nutcracker, since normally we watch it or have seen the ballet live a couple times. But they said they could lay back and visualize the play as they were listening to the music. 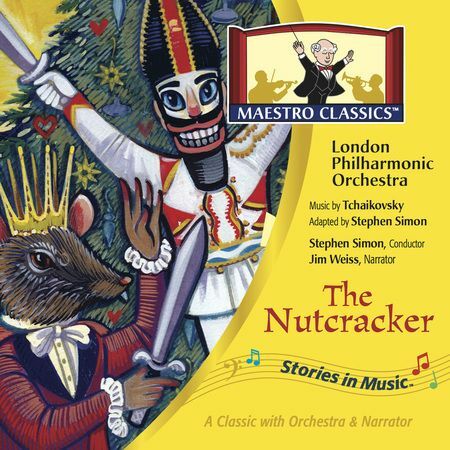 You might ask, why buy Maestro Classics - The Nutcracker - Stories in Music audio. Well you not only get a high quality music cd, but you also get a download curriculum guide to go a long with your purchase. 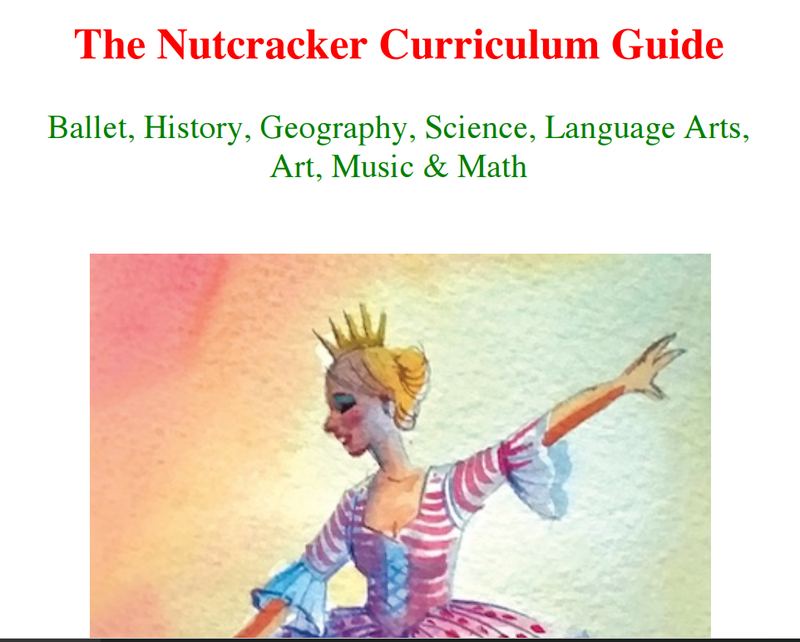 The Downloadable Curriculum guide allows you to turn The Nutcracker - Stories in Music into a full unit study. Suggestions are given for activities in history, geography, science, nutrition, language arts, art, literature, and the study of ballet. The downloadable guide contains links to help you with websites that you can visit to help you with your lesson planning. So it's really an all-in-one curriculum guide. We have spent the last couple weeks learning about the history of the nutcracker and also watching videos on simple machines. We have learned more about the history of fairy tales. And it is all in a very fun way. Many people do not realize how educational and convenient having such a resource available to them. So as your child's interest is peaked in ballet or nutcrackers, you can continue to educate them through interest led learning. But all the extra work is done for you in this guide. We also didn't change up the other stuff that we were doing. The activities can be done for as long as you would like. So I snuck in various ballet themed items during the week to our discussions. Caty is very frustrated right now with her reading delays. She felt better when I popped in The Nutcracker and gave her some coloring sheets to color while she was listening. She also got up and practiced her various ballet moves she learned last year from classes. She made up her own moves to this classic. What a great way to accommodate a short attention span, build confidence, and give her multi-sensory options. All the activities are also open for all ages. So you can use this with several varying ages, which in our case is 15 to 7. It will help planning to not need to worry about so many different levels. We have had the privilege to review other Stories in Music from Maestro Classics and we absolutely LOVE all the stories that we have listened too. They are a great addition to any classroom, road trip, coop, or just a relaxing afternoon for someone who is frustrated while learning to read. We can't wait to get more Stories in Music from Maestro Classics. Several members of the Schoolhouse Review Crew were given the opportunity to review products from Maestro Classics. To see how they enjoyed the products in their homes, take a few moments to visit the Schoolhouse Review Crew blog and read for yourself.